Want to receive stories like this every day? Subscribe to our free Deal Alert newsletter! An undercover TSA agent was allegedly able to pass through security at Dallas Fort-Worth International Airport several times with a gun concealed in her underpants, reports NBC Dallas Fort-Worth. Our security officers are one of the most heavily tested federal workforces in the nation. We regularly test our officers in a variety of ways to ensure the effectiveness of our technology, security measures and the overall layered system. For security reasons, we do not publicize or comment on the results of covert tests, however advanced imaging technology is an effective tool to detect both metallic and nonmetallic items hidden on passengers. Stories like this are not new. 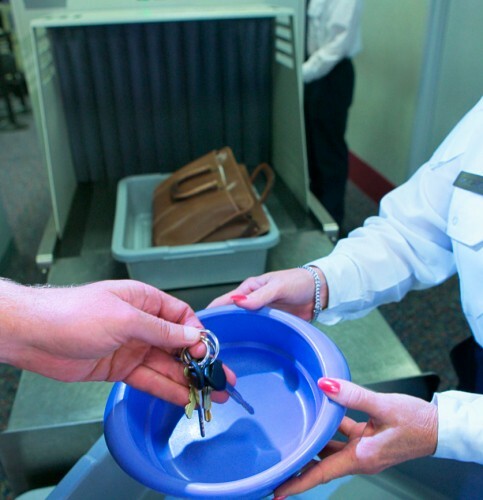 Anyone who saw the TSA exposé Please Remove Your Shoes will remember the story of a covert investigator, like the one here, who placed a water bottle in a duffel bag containing bomb-making materials, then watched in horror as a TSA screener removed the bottle, but ignored the bomb. It’s exactly these kinds of incidents that destroy the credibility of the TSA and its policies. Instead of looking for bombs and guns, screeners are looking for water bottles and other far less dangerous items. In the case of the DFW incident, well, it’s hard to know what the screeners were looking for—guns and other concealed weapons are precisely what screeners should be catching. Perhaps the agent also had a plastic knife in her pocket? Or a tube of toothpaste? Readers, I usually like to end my posts with a question, but I hardly know what to ask. How seriously do you take these anonymous insider reports?